While many were worried that Batman v Superman: Dawn of Justice would be a colossal flop and put Warner Bros.' entire DC Extended Universe in jeopardy, the epic adventure actually scored the biggest global debut of any superhero movie, with $424.1 million worldwide, $170 million of which came from North America. This movie certainly marks the start of the DCEU, but we also found out today that it marks the end of another era. Composer Hans Zimmer, who worked on the score with Tom Holkenberg (a.k.a. Junkie XL), revealed in an interview with BBC that he has officially retired from superhero movies. "I did Batman Begins with Chris (Nolan) 12 years ago, so The Dark Knight Trilogy might be three movies to you, to me it was 11 years of my life. Then I did Superman (Man of Steel) then I did this one (Batman v Superman: Dawn of Justice). I'm sort of... I might as well say it. I have officially retired from the superhero business, because... it's just me. This one was very hard for me to do, to try to find new language. I did it in collaboration with a friend of mine, Tom Holkenberg (Junkie XL), who just did the Mad Max movies and we've been friends forever. That was very important, to have another voice in here." 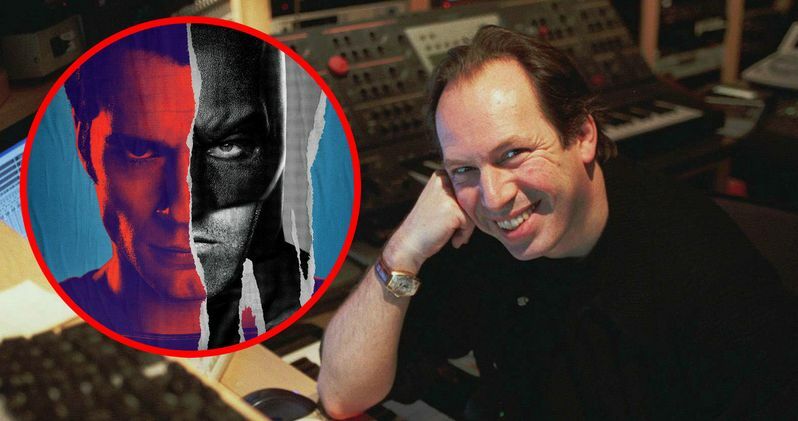 The news may not come as too much of a surprise, since, after Batman v Superman: Dawn of Justice was announced, Hans Zimmer expressed his reluctance to sign on, since he didn't want to create new Batman music after working on The Dark Knight Trilogy. A solution presented itself with Junkie XL crafting the Batman theme, and Hans Zimmer working on the Superman theme. While the iconic composer has stepped away from superhero movies, he'll still be quite busy in the years ahead. Hans Zimmer will provide the score for three upcoming movies, A Cure for Wellness (September 23, 2016), Inferno (October 28, 2016) and Christopher Nolan's next movie, the WWII action-thriller Dunkirk (July 21, 2017). With Hans Zimmer leaving the superhero space, we'll have to wait and see who the studio will bring on to compose the score for the rest of their slate, including Justice League Part 1, which starts production next month in the U.K., and Justice League Part 2. There are more than enough viable candidates, some of whom have already worked on DC movies. It's possible that Junkie XL could take over for Hans Zimmer, since his work on Batman v Superman: Dawn of Justice also included themes for Justice League characters Aquaman (Jason Momoa), The Flash (Ezra Miller) and Cyborg (Ray Fisher). Of course, we don't know if Junkie XL is even eyeing the job or not, or if Warner Bros. wants to bring him aboard for this two-part adventure. Another possibility could be Steven Price, who composed the score for Suicide Squad. Are you disappointed that Hans Zimmer is leaving the superhero world behind?